This next idea should appeal to the lazy person out there -- what is the best kind of car to drive around covered in a coat of dirt/dust? A work truck is one logical answer, but I think the better idea is to drive a fake Ferrari Dino kit car...because covered in dust...this might be mistaken for the real deal. 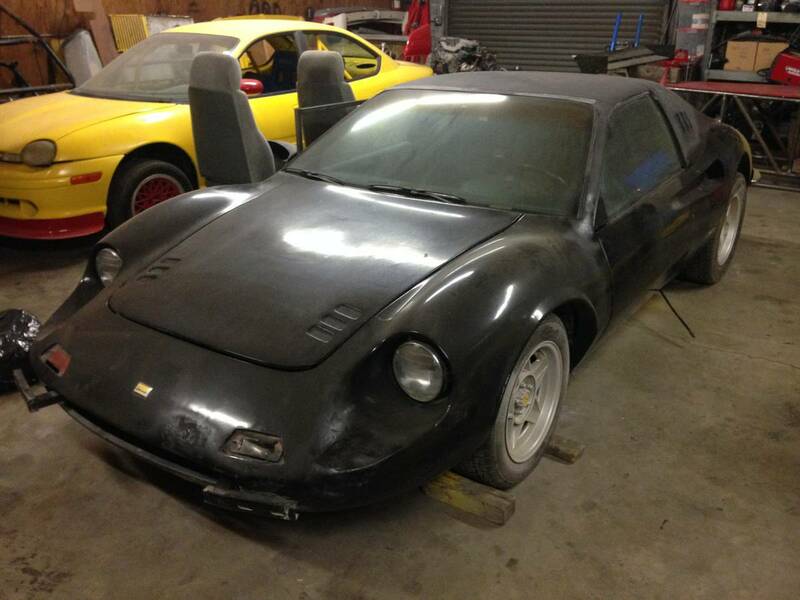 Find this 1985 Pontiac Fiero Carter Roma Kit offered for $15,000 in Azusa, CA via craigslist. Tip from Sean. 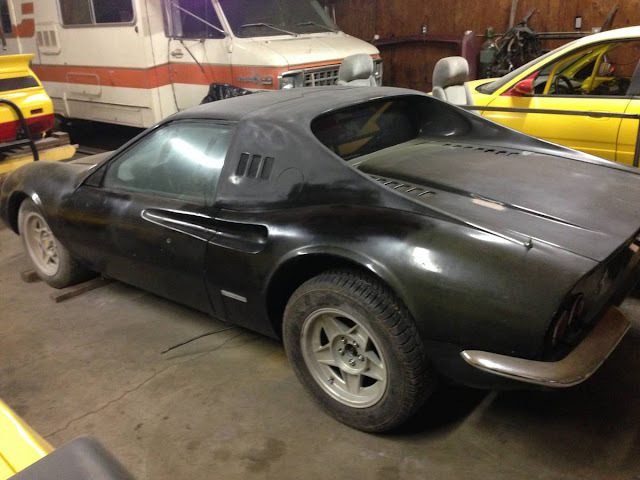 1985 Pontiac Fiero with fiberglass skins making it look like a Ferrari Dino 246 GTS. It's called a Carter Roma. Custom dash. Porsche 914 seats. Headliner redone. 2 new steering wheels. Currently in middle of remodel and engine swap. Includes 4 spd, 2.8 L.
$15,000. Real Dinos are going for $300-400,000. I have too many projects. Call show contact info and ask for Rich. In a strange way, the three other yellow and red Fieros seen in the background and the matching Neon give me more confidence in this fake Dino. 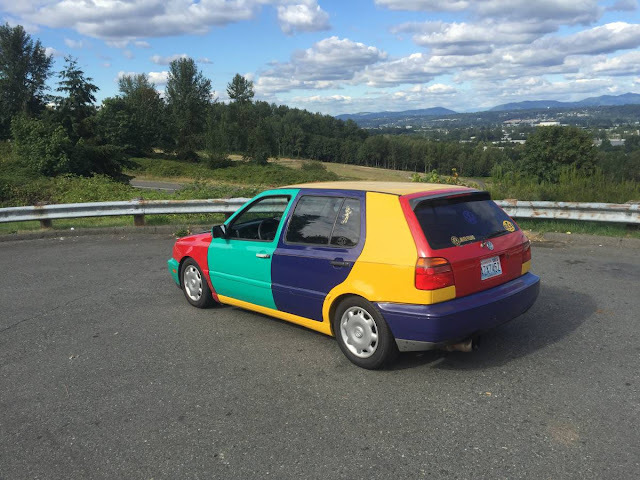 That is, assuming they're all painted the same because they've got a race team and not because the seller needed a bunch of parts cars and got a great deal on yellow paint.